You can’t beat an uplifting show during the festive season, making visiting the theatre a great get together for work colleagues, youth groups, schools and families. Discounts of up to 20% when you book 10 or more tickets on selected shows. Reserve in advance and pay later. No deposits, administration, or postage fees. Backstage tours (with a small added cost). From Friday 30 November 2018 to Saturday 19 January 2019 Nottingham Playhouse will be delighting audiences with the well-loved local tale of Robin Hood and the Babes in the Wood. Expect plenty of songs, dance, laughter and silliness as ultimate pantomime villain the Sheriff of Nottingham attempts to get rid of his niece and nephew, the Babes in the Wood, and claim their fortune. It’s down to Robin Hood to save the day and stop the Sheriff in his wicked tracks with a little help from his Merry Men and Maid Marian. 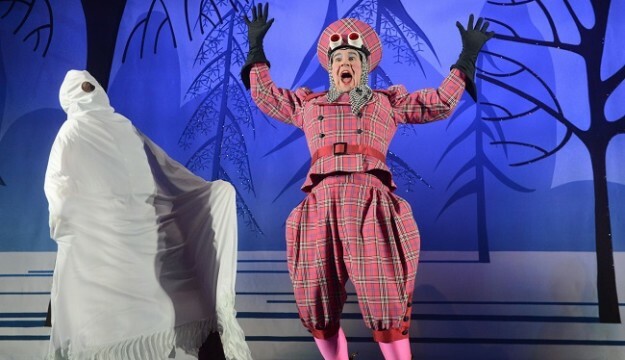 From Wednesday 12 December 2018 to Saturday 5 January 2019 smaller children and their grown-ups can enjoy a heartwarming retelling of the Brothers Grimm fairytale The Elves and the Shoemaker. When a kind, but very poor, shoemaker and his wife cut out a piece of leather before bed to make some shoes to sell in the morning they return to the workshop to find the most beautiful shoes ever made – they sell the shoes to buy more leather and the next morning find more beautiful shoes. But who is making them – and what might they want in return? This gentle story about the joys of helping each other and the kindness of strangers is perfect for children aged three to eight years old and those of a sensitive nature. It follows in the traditions of previous productions The Princess and the Frog and Town Mouse and Country Mouse. Both shows offer relaxed, signed and captioned performances. There will also be a dementia friendly performance of Robin Hood and the Babes in the Wood.